What to Do When Your iPhone Memory Is Full? Part 1. My iPhone Memory Is Full What Can I Do? Check out what is using up your memory on your iPhone to know why your iPhone memory is full. You will see a list of what is using up your iPhone memory usage. See how the music, video, photos app are eating up the spaces. Some games could also take a lot of space. You can backup your iPhone data to free up full iPhone memory. 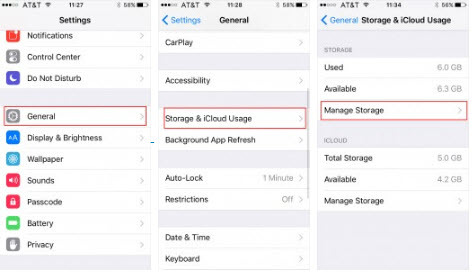 iCloud can backup iPhone data automatically, and you just need to connect Wi-Fi network, turn on iCloud backup option and follow several simple steps. Either iTunes, iCloud or transfer iPhone data to PC, you can fix iPhone no memory problem through this means. One of the challenges we have is always making the most of our memory space on our iPhone. However, clearing it up should not be difficult. There are several quick ways to clear up full iPhone memory. • Tap on “X” in the corner in order to delete the app. Go to settings > General > Storage and iCloud > Manage Storage. Then clean out the tracks by swiping through it. Everyone needs a fast and efficient tool for managing iOS data and media files to gain more storage space. iTunes can help you to manage the content of your iTunes library, but it will not be able to create more space on your iOS device. However, the only tool that can manage your music, playlists, movies, camera roll, photos library, podcasts, iTunes U, TV shows, and audiobooks is iMyFone TunesMate. TunesMate is the ultimate one-stop solution to iOS file management problems. It is a promising tool that eliminates every hitch and frustrating hindrance in media control and management. Easily and conveniently transfer iTunes/PC music/videos/photos to iPhone/iPad/iPod Touch. Transfer music/videos/photos from different iDevices to iTunes to make a huge collection of music. Paid and free music are also available for transfering on TunesMate. Sync your huge collection of iTunes music to any iDevice. TunesMate music module empowers you to transfer unlimited number of music files from iPhone to PC/iTunes. It also functions in helping you to smartly manage your music collections and playlists effectively. To transfer iPhone music to PC, follow these steps. Step 1: Launch iMyFone TunesMate on your PC and connect your iPhone, iPad or iPod Touch to your PC with a USB cable. Step 2: Click on the music icon and the music window will open by default. Step 3: Select the files you will like to backup and click on “Export” on the top menu. 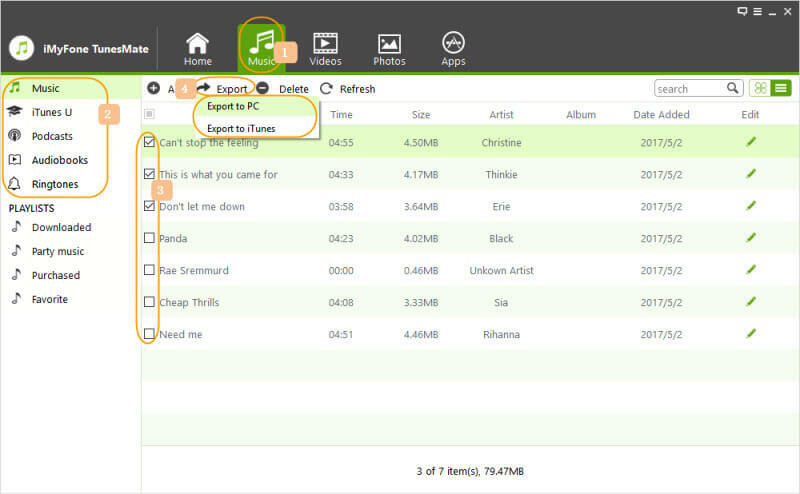 Step 4: Click on Export to PC and select the folder where you want to store the music files on your PC. Step 5: Once you see the Export Successful notification, then you have completed the process. Apart from determining the volume of storage space occupied by media files, we should also consider the following reasons why we need to manage iPhone media. 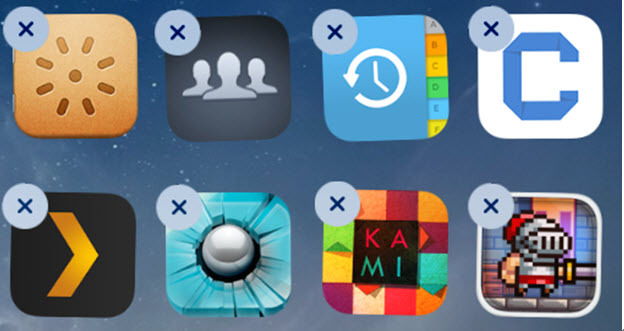 Autonomy over sharing, removing and adding media files from and to our iOS devices. Gaining more storage space by eliminating duplicated copies of files. Backing up media files on PC to reclaim storage space. Effective media file management leads to optimized iOS experience. My What’sApp takes 6GB storage, terrible! Well clear up iPhone space manually is too complex, i’d rather choose the software!